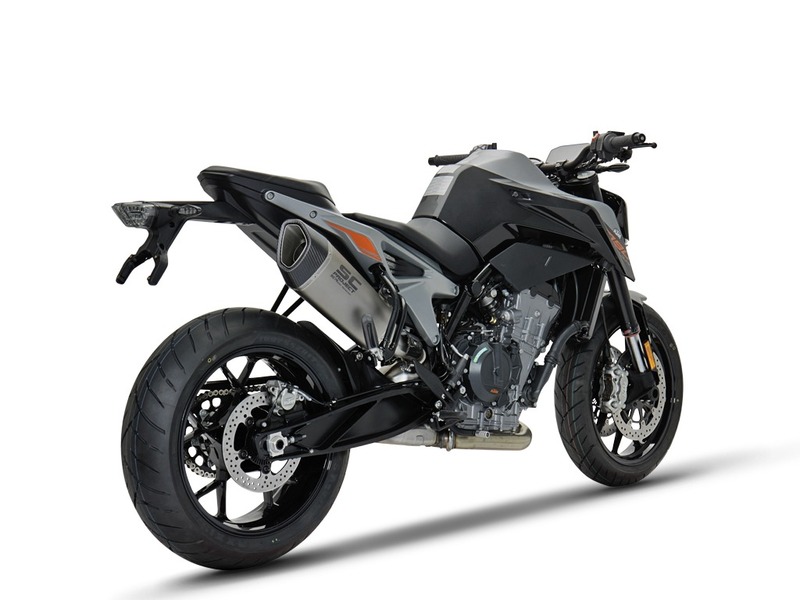 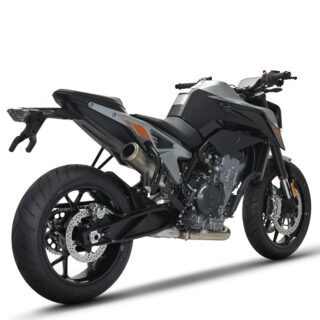 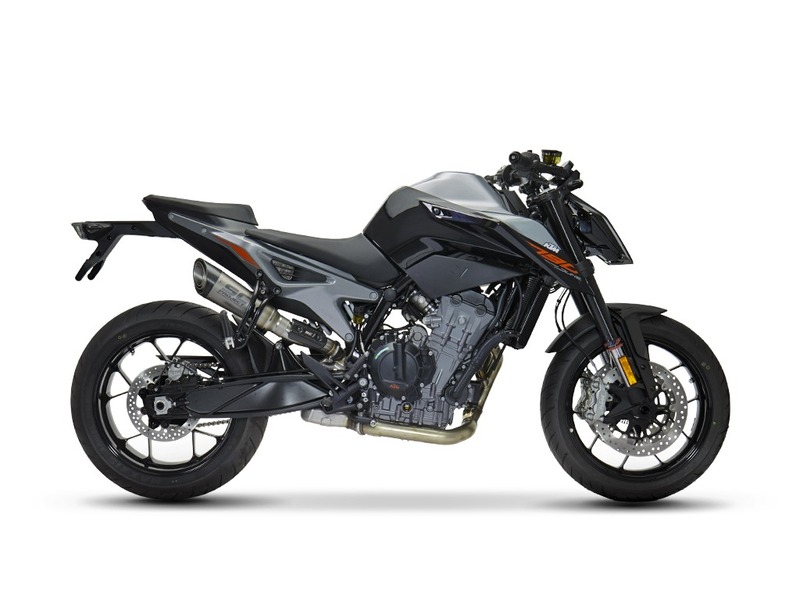 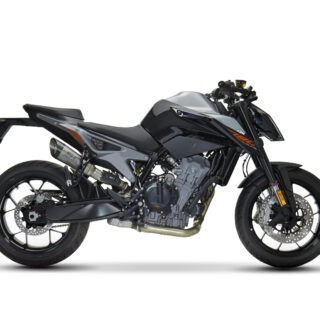 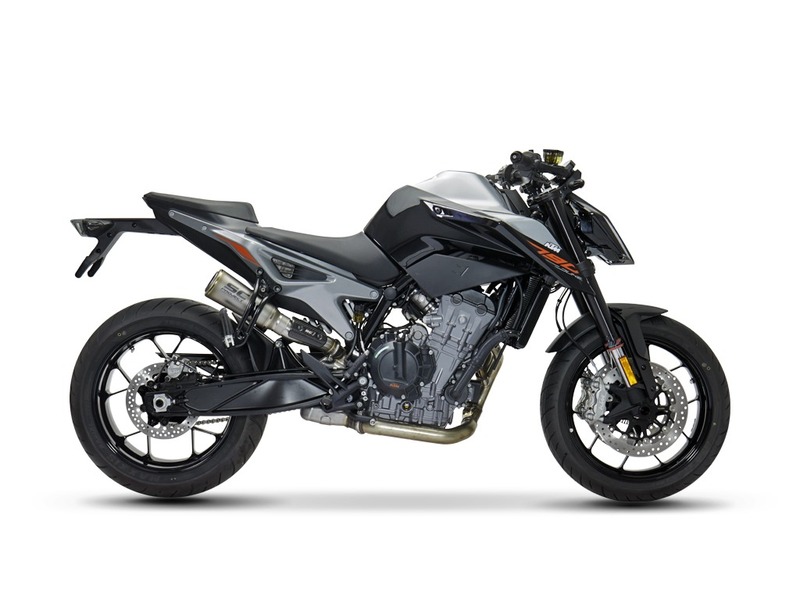 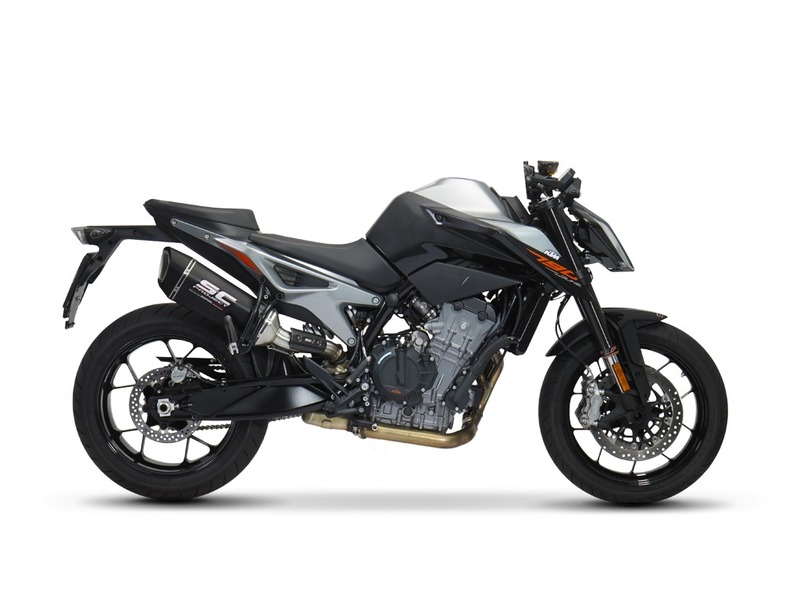 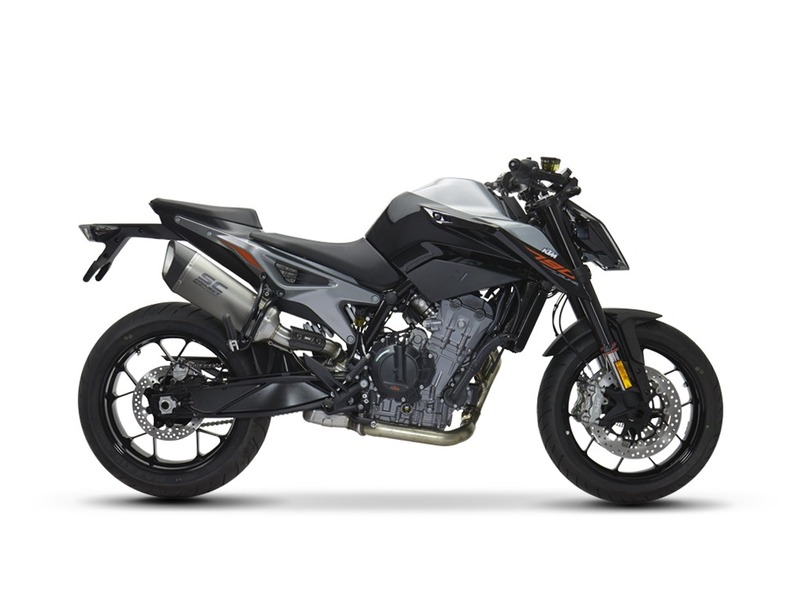 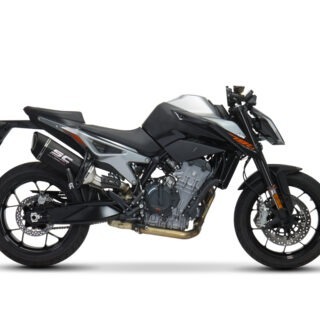 The KTM 790 Duke is an incredible mix between the lightness of its frame and the hard-hitting punch of the LC8c parallel twin motor; a real weapon in the corners. 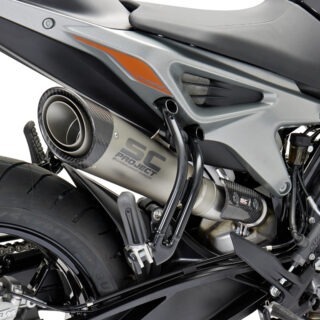 SC-Project R&D Department decided to deliver for the KTM a brand new dedicated slip-on line – from Euro4 approved to racing mufflers – to replace the stainless-steel original muffler. 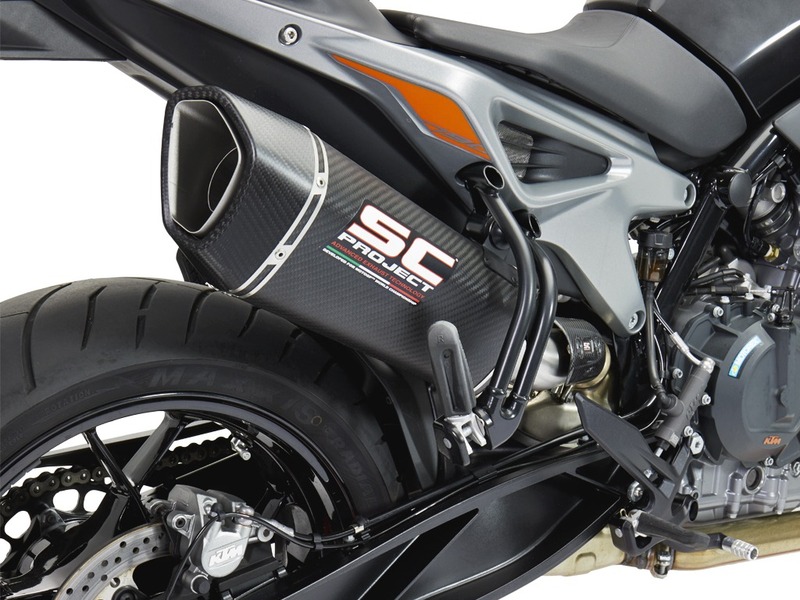 The innovative SC1-R, a benchmark for the Superbike World Championship, is available in titanium or carbon fiber body versions. 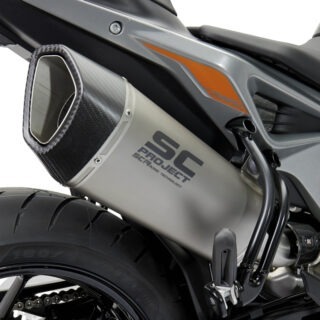 The asymmetric and clean shape, together with the matt carbon fiber end cap, recalls the sporting spirit of the SC1-R confirming it as the ideal muffler for the latest sports bikes. 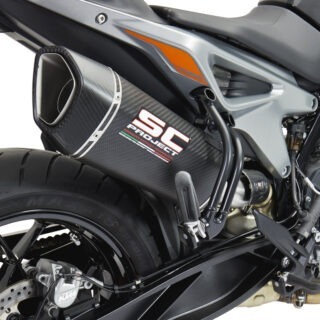 The SC1-R muffler boasts sophisticated technical solutions such as bracket and fitting welds with TIG technology, sound-absorbing material designed to withstand the very high temperatures and exhaust gas pressures of racing motorcycles, and the titanium insert bushings machined from solid by CNC machines, which guarantee perfect connection. 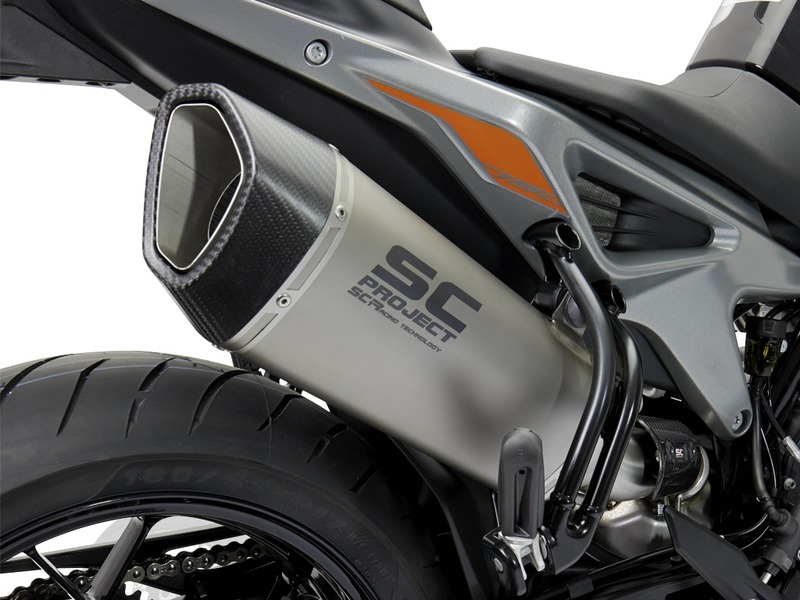 SC1-R gives to “The Scalpel” a weight saving of approximately 1,1 kg, increased power and torque and the freedom to ride on everyday road with an Euro4 type-approval muffler. 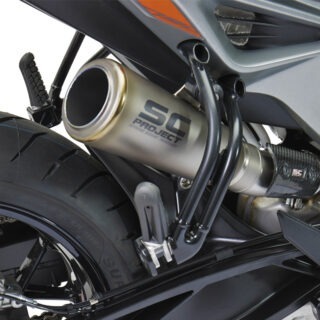 The S1 muffler, a benchmark for the Superbike World Championship, is available with a titanium tapered body and matt carbon fiber end cap and, depending on the model of motorcycle, with the spectacular titanium mesh on the output. 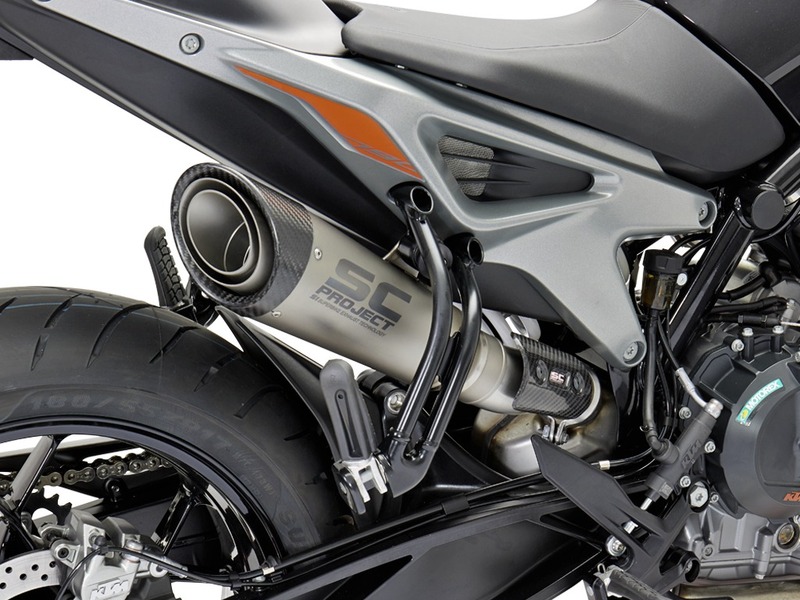 The S1 muffler fuses a racing style with valued technical solutions such as bracket and fitting welding with T.I.G. 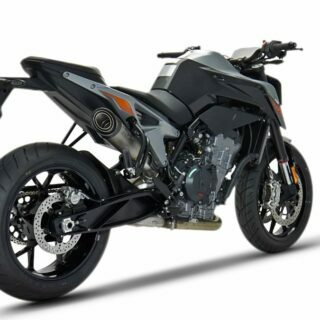 technology or titanium insert bushings machined from solid by CNC machines, which guarantee perfect connection. 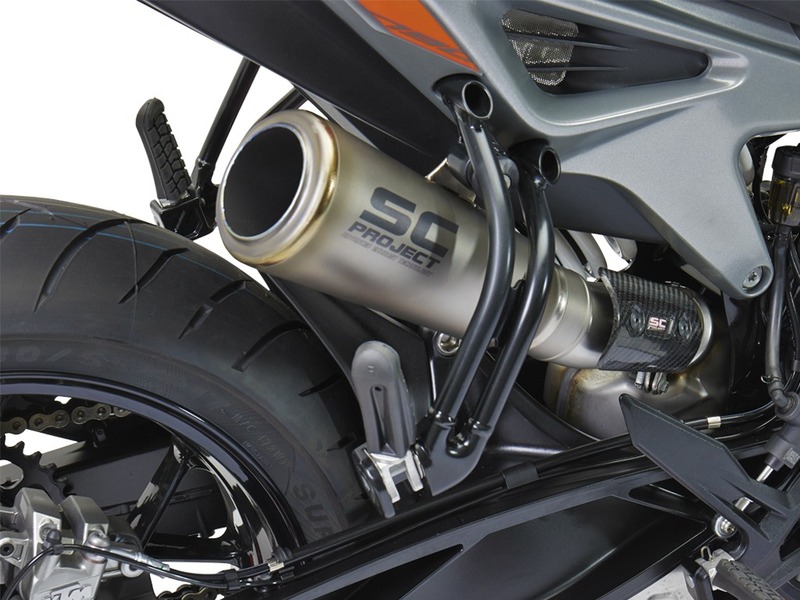 The S1-GP muffler, sporty and minimal, is available with the titanium tapered body. 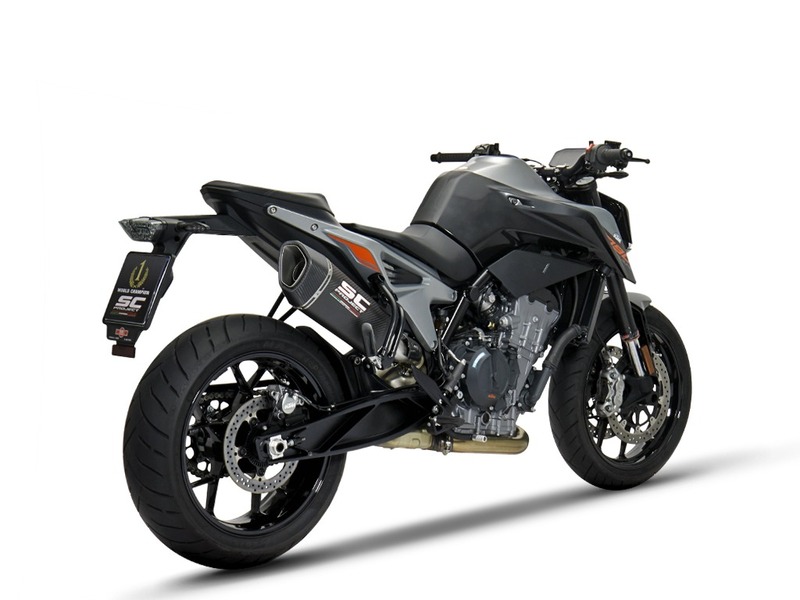 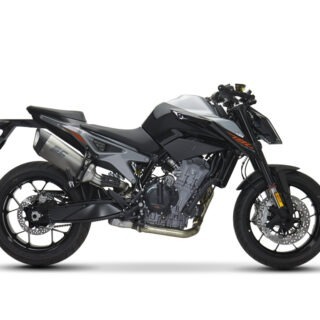 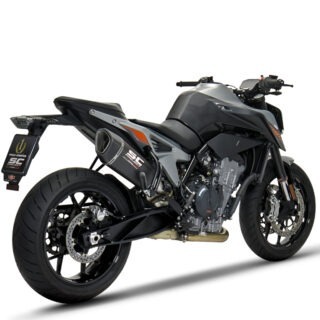 S1-GP muffler fuses his sporty style with valued technical solutions such as bracket and fitting welding with T.I.G. 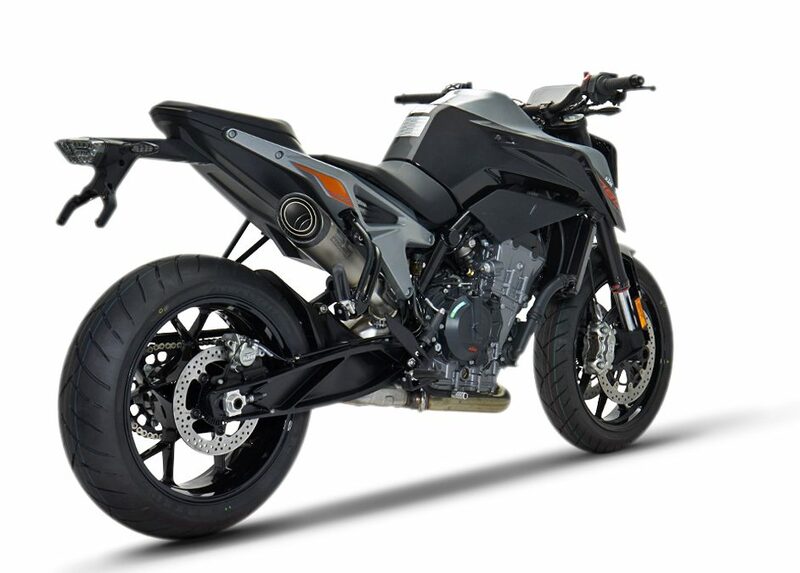 technology or titanium insert bushings machined from solid by CNC machines, which guarantee almost perfect joinings.